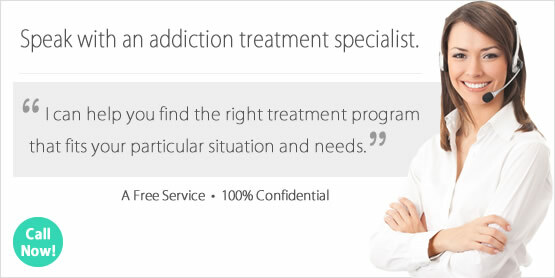 Looking for a Drug Rehab or Alcohol Rehab Facility in Alaska? Getting started in a treatment program in Alaska for drug or alcohol addiction is as easy as picking up the phone or walking in the door of a local drug treatment program and speaking with a drug treatment counselor. Not every treatment program is right for everyone, and which one is right for you depends on several different factors including how progress the problem is and how long it has gone on, and if there are any other conditions or underlying situations that will need to be addressed concurrently. There are different types of treatment, different intensities of treatment, ad different lengths of treatment in Alaska, and you and your loved ones should understand about all of these options so that the best treatment can be provided for your situation. Every resident in Alaska deserves help when they have a serious drug or alcohol problem, and this help is accessible even if someone thinks they can't afford it. There are government funded programs, faith-based programs, and treatment which is either very affordable or covered through private and public health insurance. So speak with a treatment counselor in Alaska today to get help right away for yourself or someone you care about. In 2013, there were nearly 6,400 people in Alaska receiving substance abuse treatment in some type of drug rehab program in the state. Alcohol was reported by nearly 40% of treatment admissions as their drug of choice, and an estimated 33% were in treatment for alcohol use and a secondary drug. Alcohol has been identified for quite some time as a primary drug of concern in the state, where residents often isolated for months at a time in the primarily rural state and turn to alcohol for comfort. American Indians and Alaska Natives are most affected by this problem, with statistics showing that over half of the clients in treatment for alcoholism, abuse and addiction are American Indian or Alaskan Native. There is no substance that even comes close to the rates of abuse of alcohol in Alaska, so the need for effective treatment, education and prevention is essential for residents. Out of the illicit drugs abused among treatment admissions to drug rehabs in Alaska, heroin ranks highest and over 7% report 'other opiates' as their primary drug of abuse. Prescription pain killers would fall into this category. Unlike other states who have many resources in regards to opiate maintenance therapy, Alaska does not have very many resources in other states, there are clinics and hospital which administer medical opiates to opiate dependent clients as a daily therapy to stop cravings and withdrawal, but Alaskans don't really have this option with only 2 clinics administering these drugs in the state. There is actually a bright side to this fact, because patients who do begin opiate maintenance therapy have to maintain this regiment financially and logistically every single day, which can simply be unrealistic for Alaska residents. Instead, anyone who is struggling with opiate dependence of any kind will need intensive oversight and long term treatment if possible, in an inpatient or residential drug program in the state, due to the nature of opiate addiction and how aggressively it must be treated in order to avoid relapse. Amphetamines also accounts for a large percentage of treatment admissions to drug rehab programs in Alaska, with over 5% of clients reporting abuse of some type of amphetamine drug. Amphetamines are in the category of stimulants, and would be drugs such as methamphetamine and crystal meth or 'ice'. Much like heroin, amphetamines and stimulants in general are extremely addictive and relapse rates are extremely high when the addiction isn't treated aggressively. Among the 47,000 Alaskan residents aged 12 or older who reported current alcohol dependence or abuse last year, 87% received no treatment. Only an estimated 6,000 residents did, pointing to the large discrepancy between how many people struggle with the life threatening problems associated with alcohol abuse, dependency and addiction and how many actually get help for it. Another discrepancy to point out is who receives this treatment, with only about 37% of the treatment admissions for alcohol being female. In many instances, female substance abusers have more extensive treatment needs than males due to the fact that their responsibilities require them to find a drug rehab program that offers beds for client's children for example. When there aren't options which provide this, it could keep women from receiving the treatment they need. In Alaska, there are around 80 outpatient treatment programs, 26 residential non-hospital programs, and 2 hospital inpatient programs. One of the two hospital inpatient programs in the state only offer detox services, while the other provides treatment in addition to detox. The outpatient treatment options available in Alaska vary significantly in terms of intensity and length of treatment, and there regular, intensive, and day treatment and partial hospitalization facilities available. A good portion, 85%, of outpatient facilities in the state only provide very bare bones treatment where individuals take part in services about one day per week. More intensive outpatient programs offer treatment several days per week. This is really the only difference between regular and intensive outpatient treatment services in Alaska is, and both offer traditional therapy and counseling services. Day treatment/partial hospitalization drug rehab in Alaska is available in 11 facilities, and these facilities very often offer specialized treatment services which may not be available in the other outpatient facilities in the state. Inpatient facilities and day treatment/partial hospitalization facilities in Alaska are best equipped to meet the need of individuals with chronic drug or alcohol problem or those who also need to address a co-occurring mental health disorder concurrent to their substance abuse problem. What does Inpatient Rehab in Alaska Involve? Inpatient treatment in Alaska is often the most structured treatment environment, which is precisely why any clients excel in inpatient facilities particularly when they have struggled with a chronic substance abuse problem. There is typically an exact schedule of activities for clients to participate in which is based on a treatment plan as laid out by treatment counselors based on their particular challenges and treatment needs. Inpatient treatment in Alaska can include substance abuse counseling and relapse prevention, cognitive behavioral therapy, motivational interviewing, anger management, trauma-related counseling, and other conditional steps depending on each client's situation. Dual diagnosis treatment is also typically provided in inpatient treatment in Alaska for individuals who may also need to address a co-occurring mental health disorder while in treatment. What does Outpatient Rehab in Alaska Involve? Outpatient treatment can be as intensive as one day per week, or every day all day depending on which program you choose. Treatment at outpatient facilities in Alaska will usually entail participation in both group and individuals counseling, and may or may not include family, and marital/couples counseling. In addition, 62 treatment facilities in Alaska offer a comprehensive mental health assessment or diagnosis and 74 facilities provide mental health services in addition to the addiction treatment their offer.